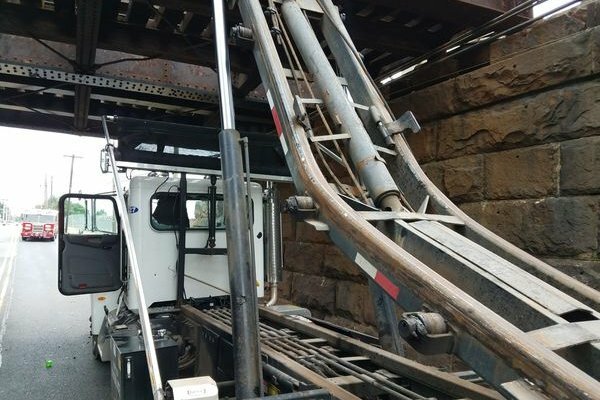 A trash truck bashed into an Atlantic City Rail Line bridge near the Pennsauken Transit Center in New Jersey, damaging the bridge and the rails. NJ Transit has suspended service to Atlantic City for two weeks to make repairs. 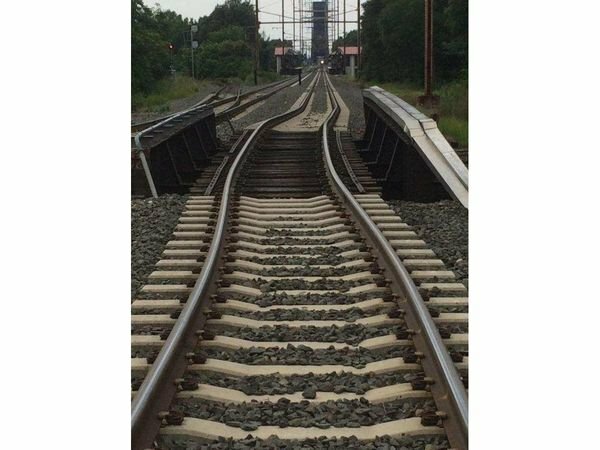 A garbage truck driver bashed into an NJ Transit bridge Friday afternoon, knocking the Atlantic City Rail Line tracks out of alignment and the bridge off its moorings. Repairs will take two weeks, the transportation company announced Monday. A trash truck bashed into an Atlantic City Rail Line bridge near the Pennsauken Transit Center in New Jersey, damaging the bridge. NJ Transit has suspended service to Atlantic City for two weeks to make repairs. The incident happened just east of the Pennsauken Transit Center. As a result, service is suspended between Cherry Hill and Philadelphia during repairs. Trains will continue to operate between Atlantic City and Cherry Hill. Buses are making the shuttle beyond Cherry Hill with PATCO, River Line and NJ Transit’s #554 buses cross-honoring Atlantic City Rail Line tickets and passes. The truck driver was issued a summons for careless driving; no word yet on recovering the cost or repairs. NJ Transit has warned customers to build extra time into travel schedules and check here for updates.